In Ukraine Oleksandrivka is a popular name for populated places. Some 100 communities are named this way. The following article is about an art environment in the small community of Oleksandrivka (some 5000 inhabitants), located nearby the Black Sea, just south of Odessa (a large city with over a million inhabitants). Vladimir Pavlovich Buyvol was born in 1929 or 1930 in Odessa. He would live there his entire working life. Already at primary school his talent for drawing was evident and he got the advise to take an art course. So in 1946 he enrolled in the Odessa Art School, where he probably got a training in decorative and applied art, in any case not a training in visual arts, because it has been reported that he could only realize his wish to be a sculptor and make sculptures after his retirement. The job Vladimir Buyvol got after the Art School also indicates a training in applied arts, because he went to work at an organization in Odessa that took care of the maintenance of large public buildings in the city. In particular, Buyvol participated in the restoration of buildings such as the Odessa Opera House, the Philharmonic Society and the train station, probably especially with regard to the decorative elements in these buildings. He worked for 53 years at this (in the soviet time public) organization. After he retired in the early years of the 21st century, he moved to an old house in Oleksandrivka he had to renovate. 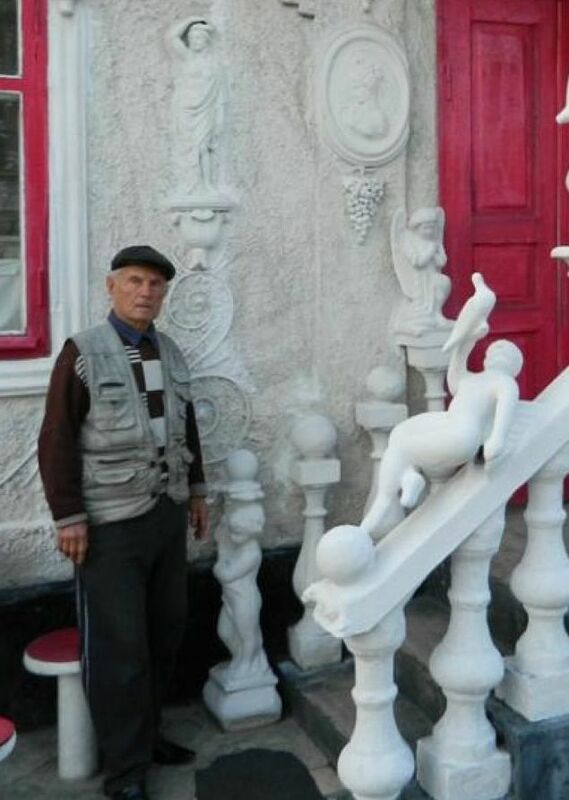 Buyvol's always dormant desire to make sculptures got a big boost when during a walk with his grandchildren, he saw a swan carrying a weakened newly born youngster on her back. The grandchildren asked grandfather to depict that scene in a sculpture. What Buyvol did indeed, as can be seen in the first picture where a swan sits on a balustrade with a little one on the back, followed by three other youngsters. Some ten years later, in 2014, at the time a regional newspaper interviewed Buyvol, the surroundings of his house were full of sculptures. 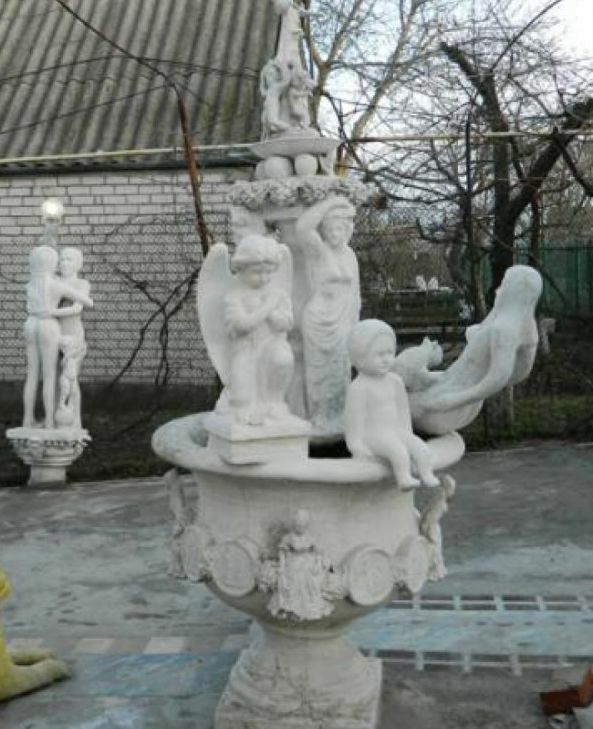 Working with concrete Buyvol had created a a large number of sculptures mainly in a classical style, which depict goddesses, mythical heroes and other classical characters, standing on water bassins or pedestals, or resting on balustrades. At the time of the interview, Buyvol was in his mid eighties and he already had reduced the amount and pace of his sculpting. Moreover there wasn't much more room available around the house for new sculptures. so Buyvol now also had begun creating sculptures on order.. Currently there is no information on the internet about further developments of this art environment.